Live an experience like no other! Book an appointment to visit our new Single family Homes in Gatineau. 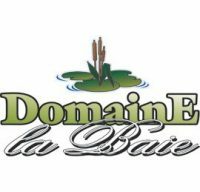 Domaine la Baie is a Single Family Homes community in Gatineau that has consistently charmed new home buyers with the numerous nearby amenities and activities it offers family. With direct access to the Baie-McLaurin and the its various parks, this mature community offers an opportunity to take a break from the hustle and bustle of everyday life. The residential project is also situated in close proximity to all services, schools and Gatineau/Ottawa for those that commute to work. This new home residential project is currently in the final phase of development and the last remaining opportunity to be part of this community is to purchase a prime lot ready to accommodate your dream home. See the site map to identify the remaining lots available for purchase. Do not hesitate to contact me by email or phone if you have any questions about our Single family Homes in Gatineau Domaine de la Baie. It will be my pleasure to provide you with all the necessary information you require. If you decide to come see me at the Sales Office, we are open at the Devcore office Monday-Friday from 8am to 5pm or by appointment.